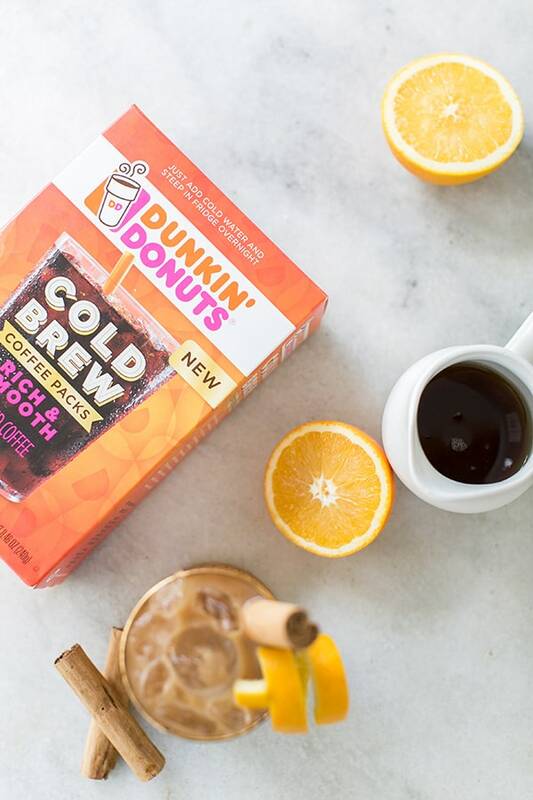 One thing we’ve been keeping in our fridge is a fresh batch of Dunkin Donuts Cold Brew Coffee. Zan is from the east coast and he and his family have always raved about how good Dunkin’ Donuts coffee is. The cold brew is no exception. And even though the weather is getting cold outside, I still love sipping a refreshing cold brew! Orange and coffee are two flavors you might not expect to compliment each other, but they actually do really well! 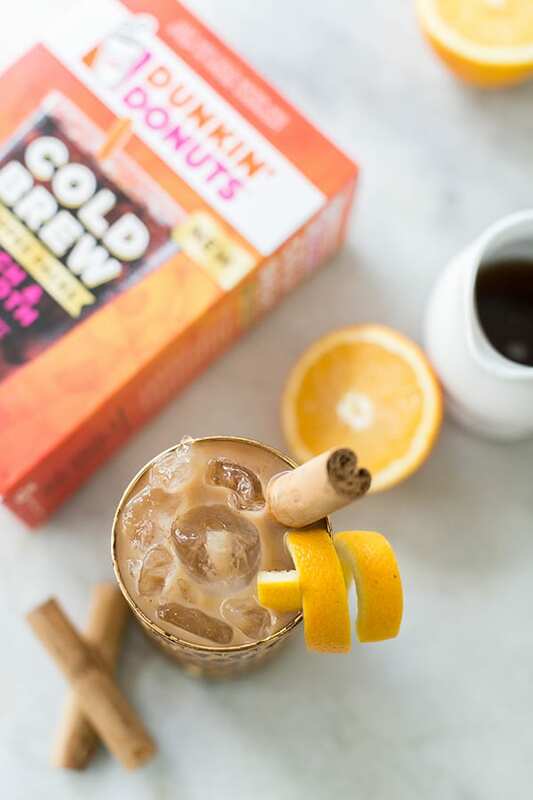 We brewed Dunkin’ Donuts super easy-to-make and incredibly smooth cold brew coffee and then added in cream, a little orange extract, maple syrup and some delicious spices. It’s the perfect combination for the holidays and tastes so good! 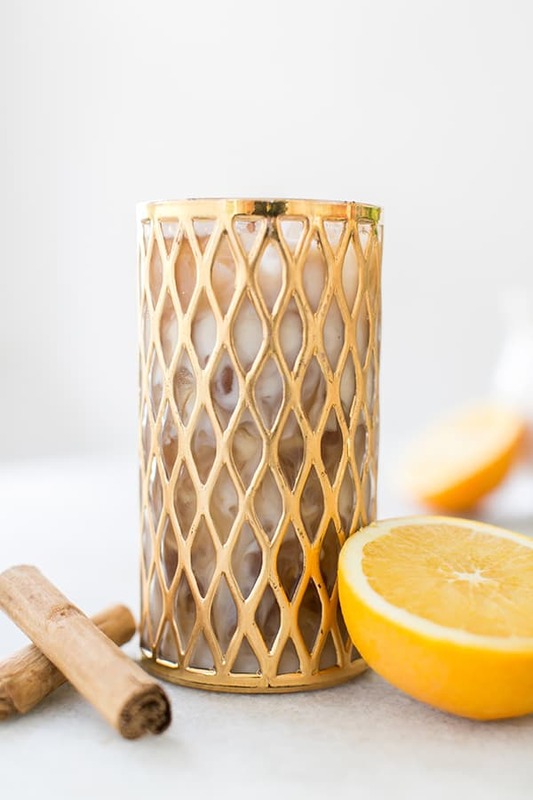 I love adding easy ingredients to cold brew to make it festive and unique. There are so many delicious combos, like our Gingerbread Cold Brew, or you can even make white chocolate peppermint cold brew popsicles. I hope you’re all enjoying the season! Stay charming and thanks for reading! 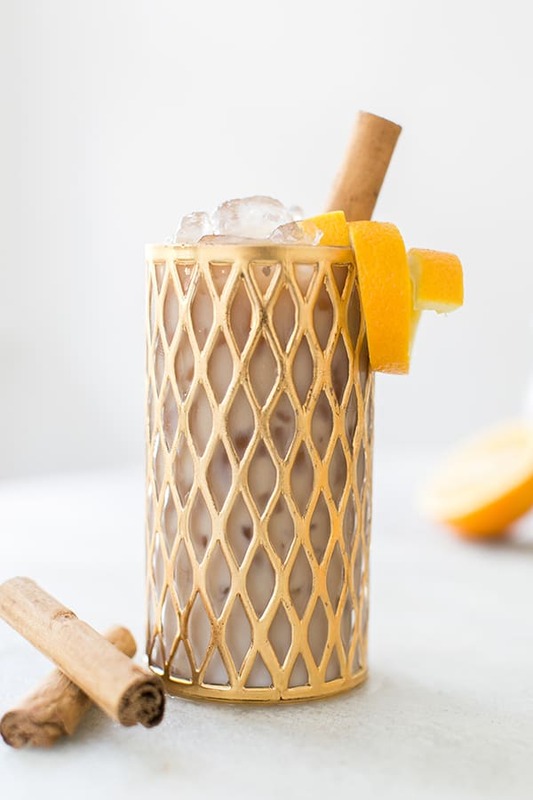 Watch the video above for the recipe and to see how to make this delicious Orange Creamsicle Cold Brew! !